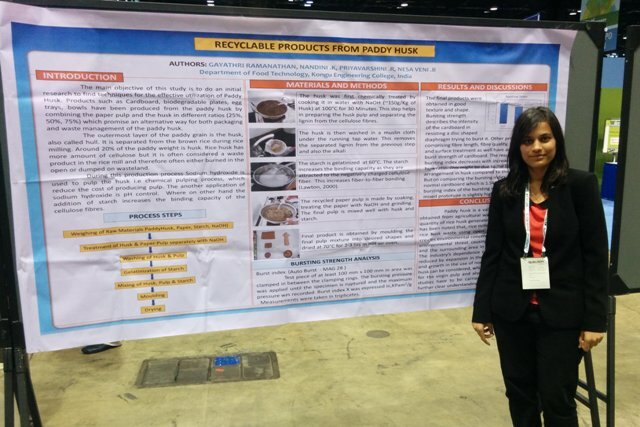 FIPDes student Gayathri Ramanathan got selected for the poster presentation during the Institute of Food Technologists (IFT) Annual Meeting in Chicago. She is also the only one out of many international students to be awarded an International Division Travel Grant! Congratulations!! 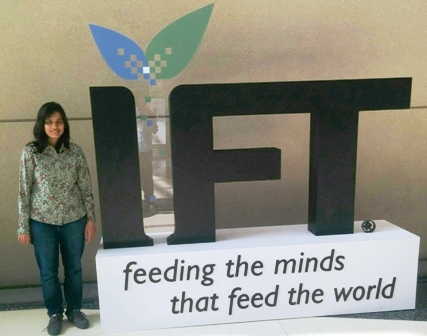 Attending the IFT’s 75th annual event in Chicago was truly an unforgettable experience for me! It’s the largest conglomeration of food professionals from around the world. 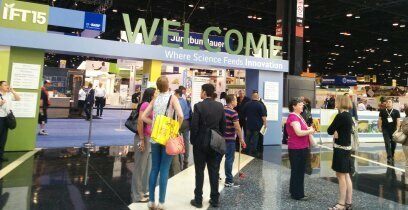 I feel highly fortunate to have been able to witness this event where I got insights about latest trends, the newest products, and the most recent innovations driving the science of food. The event was scheduled for four days and was extremely informative with talks on new products, future food trends and research activities from leading professionals in industry, government and academia. There were food expo and student competitions as well. I was one among the hundreds of others at the expo presenting my idea which was well received. I was also one of the few students who were awarded a grant. I would say undoubtedly that this event was an amazing opportunity for me to widen my technical knowledge, connect and network with some of the greatest minds, and to discover latest scientific developments and innovations.